bold • modern • romantic. This wedding invitation suite is packed with floral charm! 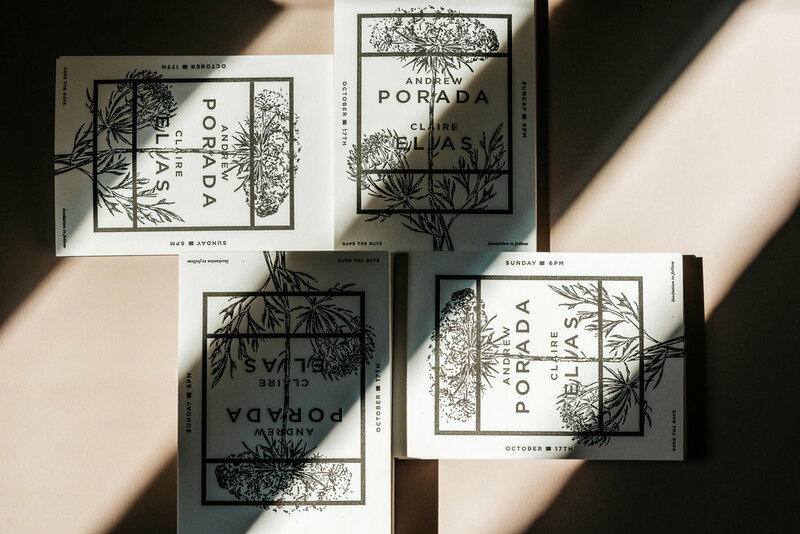 Letterpress printed with black ink on a warm white stock, this wedding suite is bold and sophisticated while maintaining its modern and graphic feel. 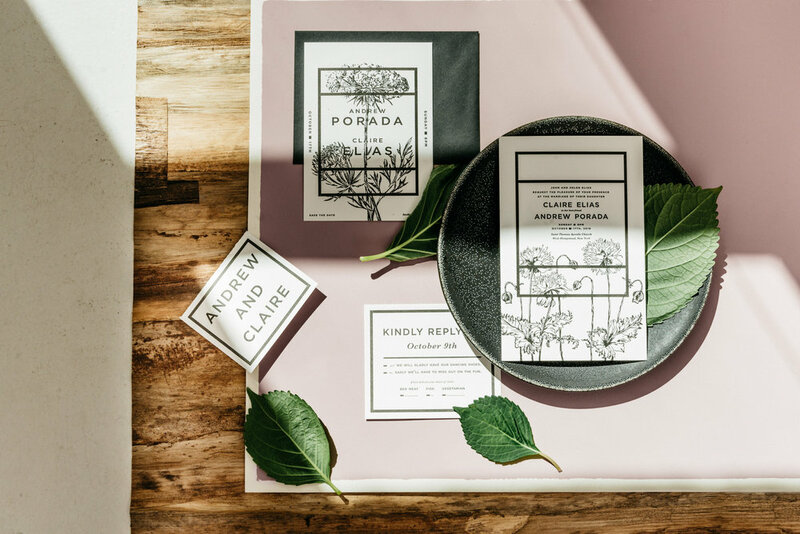 It features a save-the-date printed on warm white stock with a custom floral illustration paired with a contrasting black envelope, and an invitation suite featuring: an invitation with floral illustration, reply card, and matching thank you card.